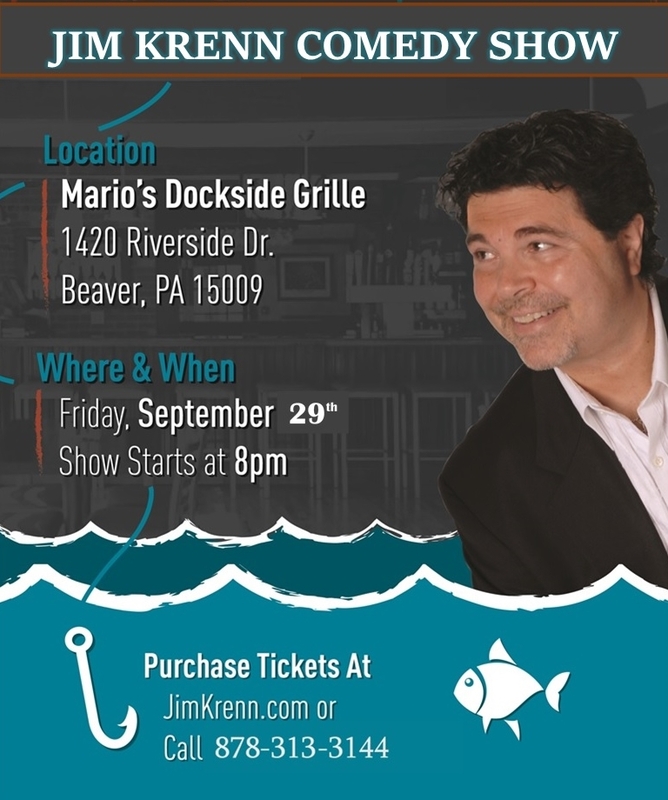 Let loose, laugh, cackle, and make it a September to Remember with Jim Krenn (Pittsburgh Radio Personality, Legendary Storyteller and Standup Comic). ABOUT THE VENUE: If you're searching for a delicious meal, stop by Mario's Dockside Grille and choose from our menu of seafood, steak, pizza, or burgers. Our nautical themed restaurant in Beaver, PA, also has a total of three bars, including an outdoor tiki hut, where you can order your favorite drink and sip it by the riverside while you dine with friends! Give the family restaurant a try today to taste the difference for yourself. Mario's Dockside Grille 1420 Riverside Dr.